Ready! Get Set! Let’s Go for Adaptive Running™! 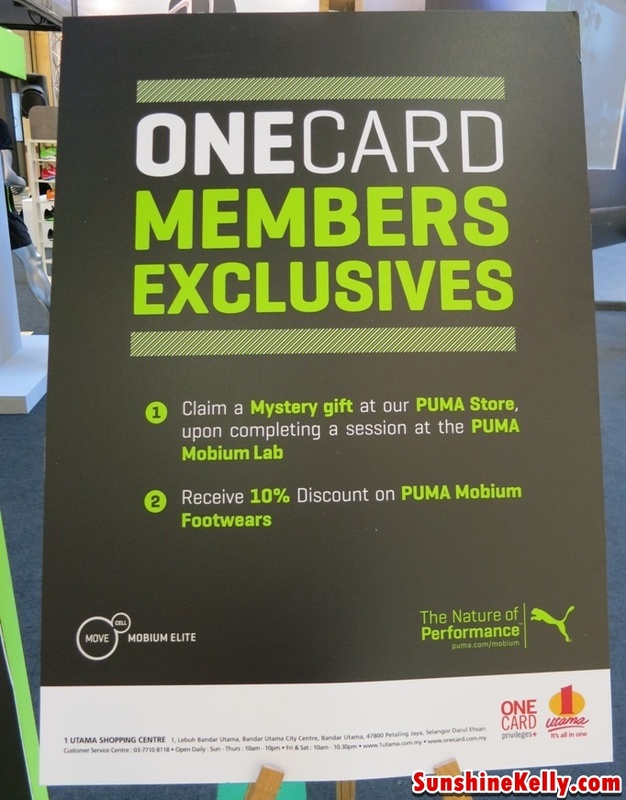 Puma Mobium Elite finally launched on Malaysian shores in 1 Utama Shopping Mall on 19th April 2013; themed “Rooted in anatomy and inspired by nature”. I had tried the latest PUMA Mobium Elite running shoes during the launch. 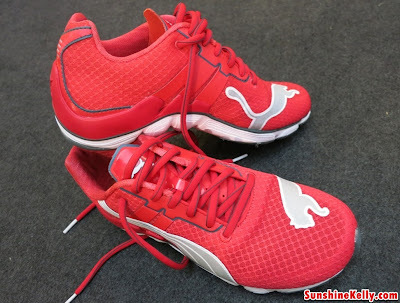 Considering that our foot expands in three directions, longitudinally, laterally and vertically, this latest PUMA Mobium Elite running shoes adapts with our body in motion, encouraging a more natural and efficient mid-foot strike. 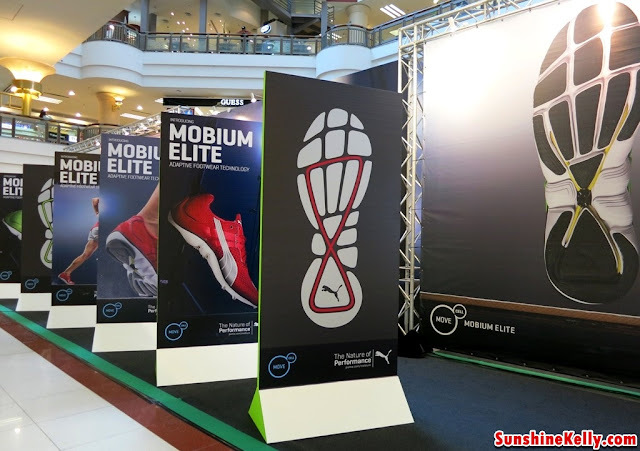 PUMA Mobium Elite is the first generation that incorporate Adaptive Running™ technology and innovation. 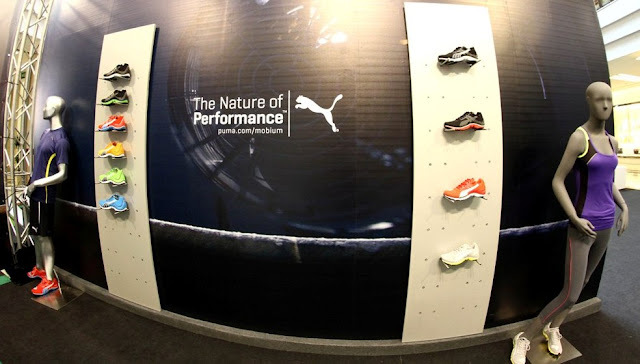 Adaptive Running™ is a patent pending technology by PUMA. When you move, your foot naturally changes in length, height and proportion. So does the Mobium Elite. The Adaptive Running™ design comfortably expands and contracts with your foot, without constraints. 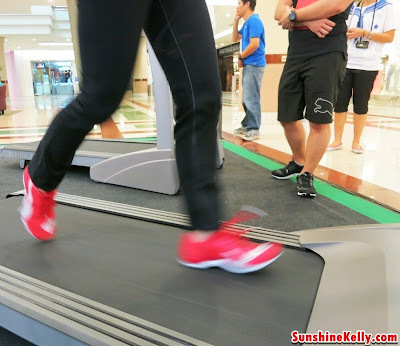 This give-and-take technology maximizes energy and propels you forward past your every notion of running. Mobium Band is constructed to enhance the foot’s natural spring. Running through the outsole in a “figure eight” it’s designed to work dynamically like the tendons in the foot. The more force applied, the more spring it returns. Windlass Chassis is built to mimic the Windlass Effect of a foot’s expansion and contraction as it moves. This sculpted arch creates a platform for the foot in movement, helping the foot transition through the full running gait. Mobium’s upper and outsole works in unison with the Windlass Chassis, so that the entire shoe moves the way the foot naturally does. 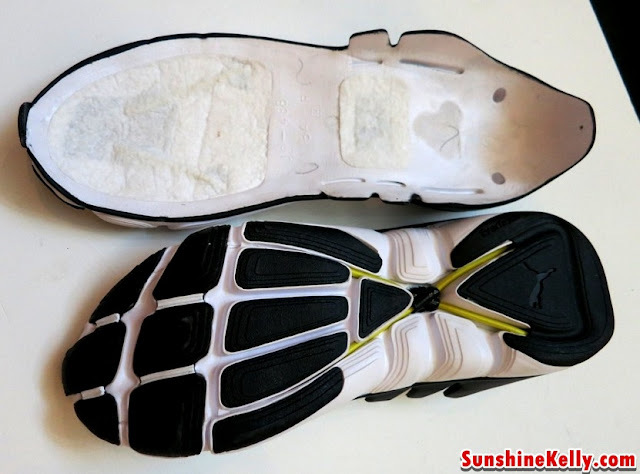 Expansion Pods on the outsole of the shoe expand and contract with the foot. As a result, PUMA Mobium’s cushioning, protection and flexibility encourages a more efficient stride and offers a smoother transition. PUMA Mobium Elite retail at RM 389. It is already available in Men’s and Women’s styles at PUMA retail stores, selected RSH, Al-Ikhsan and all Puma franchised stores in Malaysia. 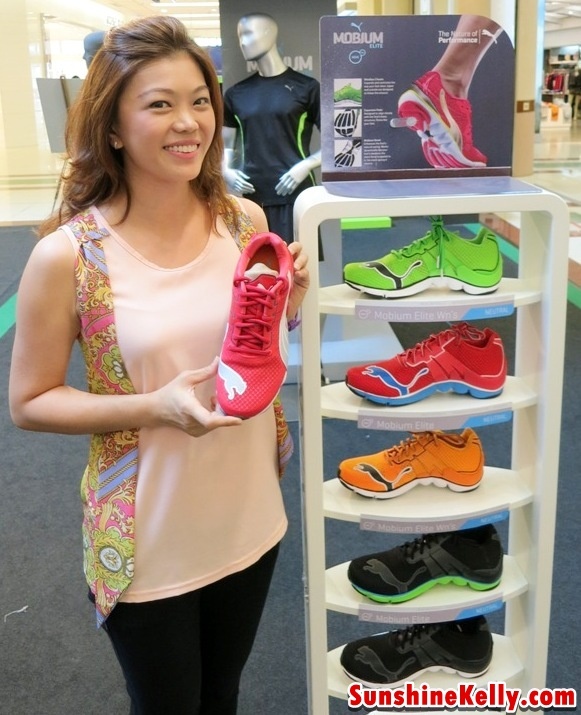 The eye catching colors include the blue, green, orange and black for men while the red is exclusive for women. In subsequent seasons, additional Women’s specific styles will be introduced and the Mobium line will be expanded further in the Training and Fitness categories. 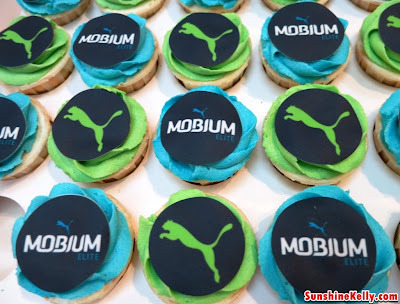 PUMA Malaysia elevated their experience by initiating the Mobium Elite challenge to search for Malaysia’s most efficient male and female runners, representing Malaysia in the Puma Night Run in Korea. 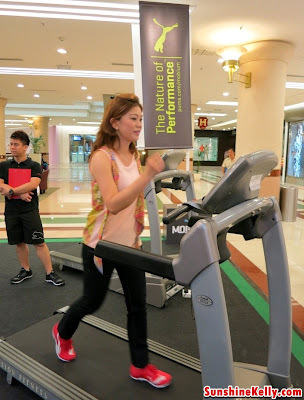 Plus the roadshow aso serves as an educational hub for the public to learn more on proper running techniques, to analyze the participant’s running style, followed by a short coaching session on techniques of running. Using a combination of innovative software and cameras, a running coach will analyze the participant’s running effectiveness and coach them to run more effectively through the Mid/Forefoot strike, a specified running technique which is well supported by the Mobium Elite. 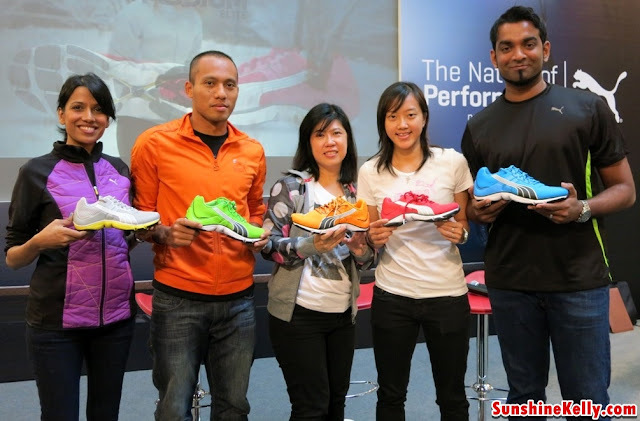 to run in the Puma Night Run in Korea? Yes! 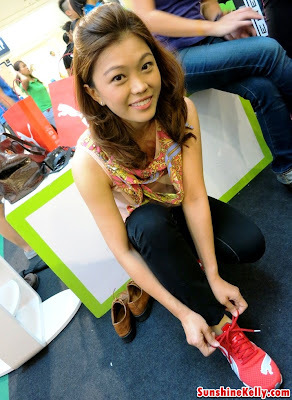 I want and I have take up the Mobium Elite Challenge at Highstreet Concourse, 1 Utama Shopping Centre the roadshow is until this 21st April 2013. If you can’t make it to the roadshow in 1 Utama, you can visit other location also. The Mobium Elite movement will make several pit-stops at popular mall locations and running hotspots across the Klang Valley such as Desa Park City, Setia Alam Central Park and TTDI.